It is nature that has formed the genuine Hainaut blue Belgian limestone in our subsoil, so it could be said that a little piece of Belgian natural history is used in our project realisation process. Hainaut blue Belgian limestone can be used for both traditional and contemporary applications. 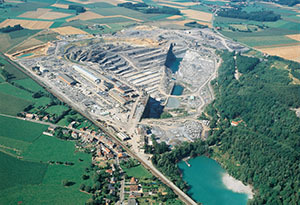 An age-old tradition, backed by the use of the most modern technologies, affords Carrières du Hainaut (Hainaut Quarries) unparalleled experience and professionalism. 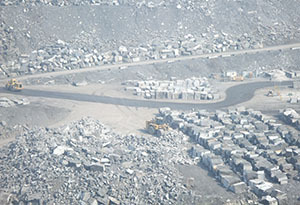 Why choose blue Belgian limestone? The stone can be used in a wide range of applications in the building sector for interior finishing work, for instance on floors and ornamental fireplaces and in kitchens and bathrooms. It is also ideal for use outdoors as an exterior finish for frames, swimming pools and terraces, for example. Hainaut blue Belgian limestone is one of the reference features in our architectural heritage, since the most prestigious buildings and monuments have been built with this material and can be seen to stand the test of time.